In a matter of first impression, the US District Court for the Southern District of New York adopted the bank examination privilege to protect from compelled discovery communications between the Federal Housing Finance Agency (FHFA) and the Federal National Mortgage Association (Fannie Mae) and the Federal Home Loan Mortgage Corporation (Freddie Mac). FHFA v. JPMorgan Chase & Co., 2013 WL 5660247 (S.D.N.Y. Oct. 16, 2013). You may access the opinion here. 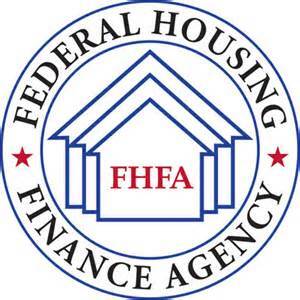 FHFA, as conservator of Fannie Mae and Freddie Mac, sued several financial institutions involved with the packing, marketing, and sale of residential mortgage-backed securities purchased by Fannie Mae and Freddie Mac. FHFA asserted the bank examination privilege to withhold from discovery approximately 15,000 documents. The financial institutions argued that the privilege did not apply because Fannie Mae and Freddie Mac are not banks and the FHFA is not a bank regulator. The court first reviewed the rationale behind the common-law bank examination privilege. Effective practical regulation requires bank regulatory agencies and their regulated entities to communicate openly, and the privilege encourages banks to have candid and open communications with its regulatory overseers. And public disclosure of bank–regulator communications may lead to public scrutiny of an entity’s soundness—a consequence that regulators seek to avoid. The court found no precedent addressing whether the federal common-law bank examination privilege applied to the FHFA. But in this matter of first impression, the court held that the FHFA may assert the bank examination privilege because its regulatory oversight of Fannie Mae and Freddie Mac implicates the same concerns that justify the bank examination privilege in the banking regulatory sphere.